Accept the presence of the Lord in your life! Come and join us at Carrboro United Methodist Church as we glorify His name. Attend our worship service and make Carrboro United Methodist Church your place for sanctuary, solace, and comfort in Carrboro, NC. Whether you are hesitant and skeptical or bursting with zeal, as long as you have an open mind and a willing heart to receive His grace, you are most welcome to become a part of our church family. Our worship service is a perfect marriage of tradition and innovation. A wide range of musical styles and decorative arts are utilized to facilitate our congregation’s meditation, reflection, and engagement. Join us in our worship and together, let us give praise to the name of the Lord. Visit Carrboro United Methodist Church today. Holy Communion is celebrated on the first Sunday of each month and at other times throughout the church year, including Ash Wednesday, Maundy Thursday, and Christmas Eve. In the tradition of open hearts, open minds, and open doors of the Carrboro United Methodist Church, all are welcome at Christ's table. Get in touch with us to learn more about our church. 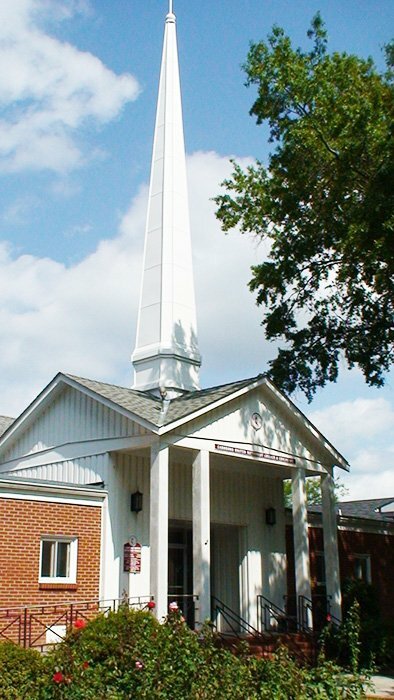 Carrboro United Methodist Church is regarded as an integral part of the Carrboro community, having provided excellent childcare services for more than 40 years. A 4-star childcare facility, Carrboro United Methodist Childcare Center offers full-time childcare for children ages 1 to 5. Enroll your children today; they will definitely be well cared for. Armed with strong faith, you will not easily be led astray. Come to Carrboro United Methodist Church and delight in the comfort of our Lord’s loving arms. Find spiritual guidance by seeking refuge in His wisdom. Participate in our worship service and foster a healthy and unwavering relationship with Christ. If you wish to learn more about our church family, feel free to give us a call.